Oh Yes — Bigger Is Always Better. You've got a big yard, big trees and a big job ahead of you. It's time you had a mower that's up to the task. The Citation was built for you with the power of a Briggs & Stratton Commercial Turf engine, a suspension system for a comfortable ride and a huge 61" mower deck. Add a zero-turning radius and speeds up to 9 mph, and the Citation will make short work of any big job. 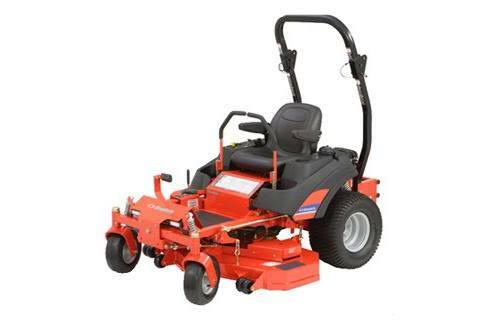 28-gross hp Briggs & Stratton Commercial Turf engine with low noise mufflers for smooth, quiet performance. Fuel Tank: 5.5 U.S. Gal. Height-of-Cut Range: 1.75" - 5.0"
All power levels are stated gross horsepower per SAE J1940 as rated by Briggs & Stratton.